I'm still obsessed with this song after Leanne Brown from Sweet Female Attitude sang it on the LRV stage at Staffordshire University, this was totally my jam from way back when. But, hearing her sing it live blew my mind, she's got some amazing soulful power in her voice, Leanne Brown can truly sing, and I'm totally excited to see what she has got planned with Platnum. Don't forget to check out my gig review on CelebMix. 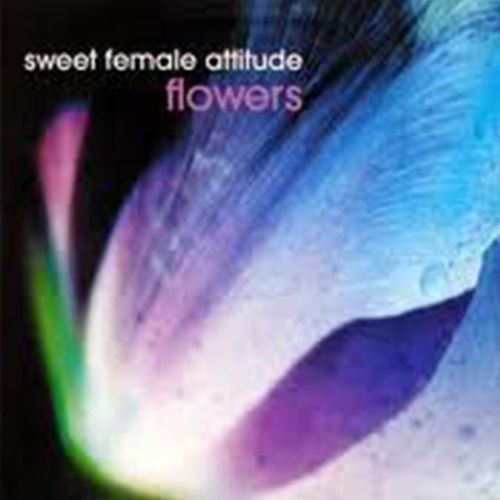 Watch Sweet Female Attitude bring it in this music video for their debut single "Flowers", which was an instant hit. Adding club vibes and a party lifestyle, it's not a bad video. Sweet Female Attitude were a duo consisting of Leanne Brown and Catherine Cassidy. Now Leanne Brown is fronting the name all by herself, and she is doing it justice, because she knocked it out of the venue last Friday, and don't even get me started on when she collaborated with Platnum on a cover of Jade's "Don't Walk Away", she was pure fire! I am totally a new fan of Leanne Brown. The future definitely seems exciting for her and Platnum. This song was written by Mike Powell and Martin Green. It charted at number two in the UK and is totally considered a garage classic. It was the Sunship Remix Edit that totally launched the success of this song. The music video, directed by Pete Nilson and Ryan Davids, takes place in a club with the duo performing the song on a set of stairs. Throughout the music video, there are visual clips of flowers, cutting up the video nicely, although it can be considered a bit of a distraction. There are some great scenes from the girls, with Leanne Brown bringing fire every time she performs the song in the clip. She just has this quality about her, like star-presence. Whatever it is, she's got it and she stands out throughout. There's not a lot to this music video, but considering it was 2000, and clearly wasn't a big budgeted music video, they did really well with what they had. It totally unleashes a club vibe to the audience watching and it's just a shame that Sweet Female Attitude didn't have more success after the release of this song.